The CPUs themselves are a pretty poorly-kept secret but we'll introduce them nonetheless - the Core i7-6700K and Core i5-6600K. 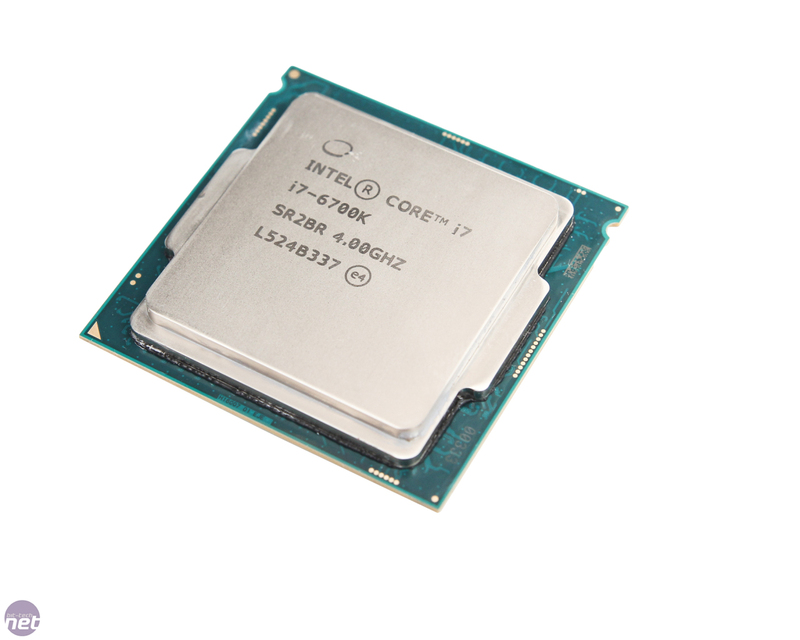 A year ago we thought we'd be comparing these to whatever turned up under the Broadwell banner, but we received no review samples and the CPUs themselves have only been available at etailers for a matter of weeks. 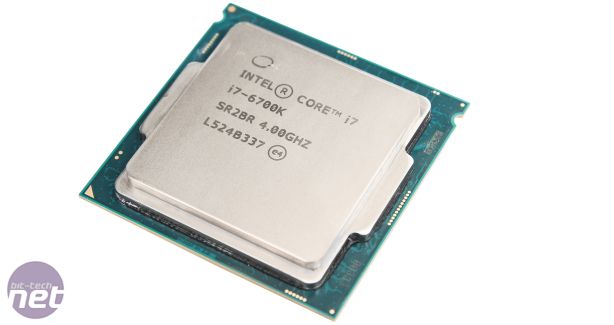 In short, the real predecessors to the new Skylake duo are the Core i5-4690K and Core i7-4790K, so it's these that will be our first ports of call as far as comparisons are concerned - today, we're just dealing with the Core i7 part with the Core i5 to follow shortly. There are several important new features with Skylake. We have limited details on the actual architectural design (this will be revealed in detail by Intel later this month), but for now the CPUs have made the move from 22nm to 14nm compared to Haswell and Devil's Canyon. Broadwell was the first CPU family to make this move, making it the only 14nm LGA1150 part, while LGA1151 starts its life using the same 14nm process. Intel HD Graphics has been given a boost too - we'll be looking at performance here in a separate test, but the Core i7-6770K sports HD Graphics 530, clocked at 1150MHz. In any event, while a TDP of 91W is slightly higher than that for Devil's Canyon/Haswell, Asus claims you actually need less voltage for similar overclocks. The 5GHz on air figures we've seen floating around the last few weeks do seem to tally with our own findings, but we'd say 5GHz is more of an at-a-push figure, with 4.5GHz-4.7GHz the likely sweet spot for an easy, stable overclock. Skylake CPUs have also shed fully integrated voltage regulators (FIVR), which were moved on-CPU with LGA1150. So, vcore, vring Vsa and Vgt all now come directly from the motherboard again. According to Asus, this was due to thermal reasons as initial testing meant Skylake was running a little hotter than Haswell despite the smaller manufacturing process, but it also added that this is likely to be removed with Skylake's successor. The plus side is that Skylake is potentially a better overclocker and could run cooler. The downside is that motherboards will likely be more expensive due to the FIVR components moving back onto the PCB. Adding to the expense, of course, is the price of the CPUs themselves. £180-200 for a Core i5 is a fair amount of cash and is £30 more than the Core i5-4690K retailed for when it was released two years ago. Likewise, the Core i7-6700K retails for up to £40 more than its Devil's Canyon predecessor did at launch depending where you shop. However, this isn't uncommon for launches that require a hefty upgrade of CPU, board and memory - the fact is that you won't see nearly as many Core i5-6600Ks in forum signatures in the few weeks after launch as you did with the Core i5-4690K or Core i5-3570K for the simple reason that all you needed for the upgrade there was a BIOS update, whereas you're looking at £400+ for a basic Core i5 setup. As such, the price will almost certainly drop in the next few months as things pick up. Sales may also be bolstered by the release of Windows 10, now just a week old, which is likely to spur on a round of upgrades. Another big change is to overclocking, where instead of bus speed straps, the baseclock is now separate to the PCI-E bus. As such, overclocking is now a lot more granular as you can can tweak the baseclock as much as you like using single megahertz steps without borking things such as your OS installation. The huge baseclock range won't likely be much use to your average overclocker, as overclocking it to the hilt will only yeild very small performance increases. As the CPU multipliers for the aformentioned K-series CPUs are unlocked, most of us just need to be concerned with this and CPU voltage as per usual, although if you're also overclocking your memory, the fact it's tied into other bus speeds may be advantageous here.